Handcrafted by Master Engine Builders, the race-inspired engines in the Mercedes-AMG® lineup are designed to produce colossal engine power from less fuel. In fact, many of the Mercedes-AMG® engines come equipped with ECO Start®/Stop technology, which conserves fuel and lessens emissions with automatic shutoff. Ranging from 375 to a staggering 621 hp, this family of hand-built machines promises nothing short of pulse-pounding power and handling, be it on city streets, highways, or dragstrips. The power of the Mercedes-AMG® engines is harnessed by expertly crafted transmissions, which include dual- or multi-clutch technology, and as many as four unique driving modes. Progressive transmissions, paired with intelligent suspension systems, results in a silky-smooth and precise driving experience. 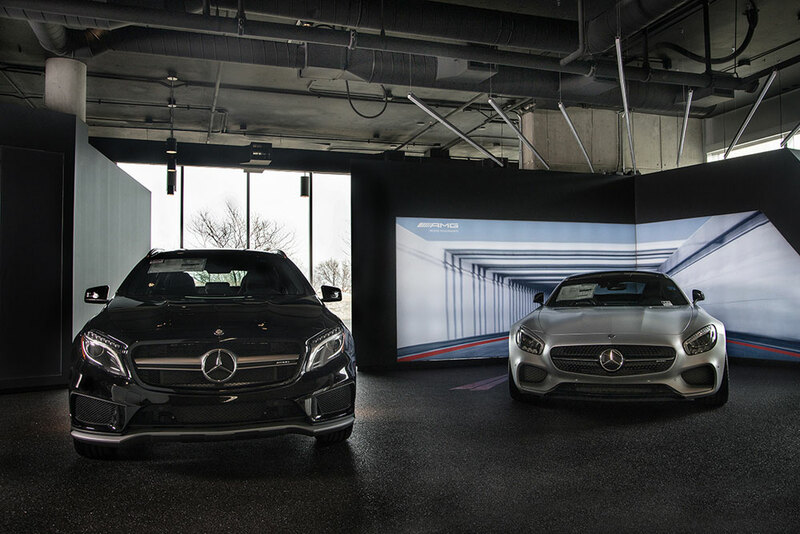 Whether you’re shopping for the 415-hp Mercedes-AMG® SLK55 roadster, the 503-hp Mercedes-AMG® C 63 S sedan, or the 563-hp Mercedes-AMG® G 63 SUV, Mercedes-Benz of Chicago is your source for the latest developments in the famed Mercedes-AMG® line! 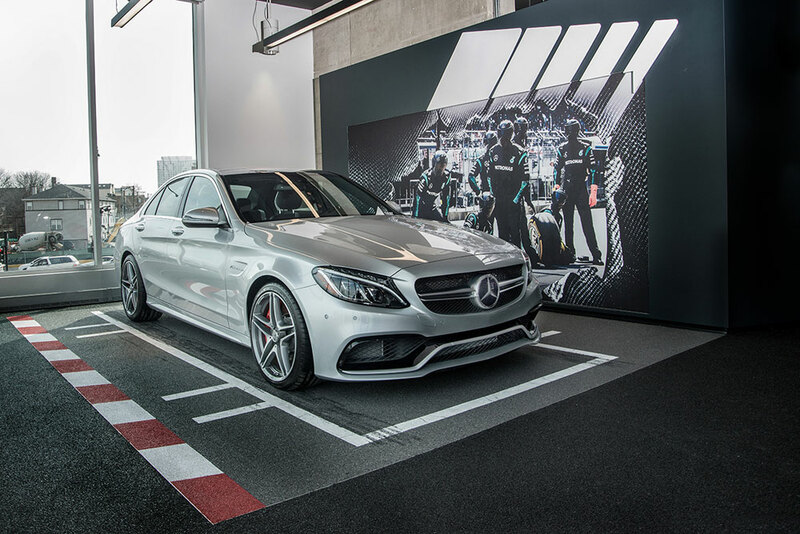 The Mercedes-AMG® Performance 4MATIC® system puts an Mercedes-AMG® spin on the classic Mercedes-Benz 4MATIC® technology. Engineered to make greater use of torque, 4MATIC® distributes engine power to each drive wheel, yielding responsive feedback on normal and rugged road conditions alike. The 4-Wheel Electronic Traction System (4ETS®) and Electronic Stability Program (ESP®) work synchronously to manage each wheel individually, and help prevent wheel-slip, wheelspin, and traction loss. Significantly lighter than many systems on the performance car market, 4MATIC® manages to deliver next-level power without being overbearing. On normal roads, 4MATIC® allocates torque to all four drive wheels, resulting in well-balanced and nimble performance. In less forgiving conditions, the intelligent all-wheel drive system transfers torque to the front and/or rear wheels that need it most. From carving tight corners, to conquering harsh Chicago weather, Mercedes-AMG® Performance 4MATIC® is designed to react to road changes. Keeping the race-ready spirit of your Mercedes-AMG® vehicle alive requires top-of-the-line, genuine parts. Choosing OEM parts over aftermarket parts lengthens the life of your vehicle, and saves you time and money. When you shop for original parts, it’s typically easier to find what you need, based on your vehicle’s year and trim level. You needn’t worry about whether or not the part is compatible with your vehicle, as you’re simply swapping an old component for a new one. On that note, you can feel confident in the quality of the factory-original parts you select. Rather than shopping around for a compatible part, you can come straight to our Mercedes-AMG® Center or place an order online from our inclusive selection! At Mercedes-Benz of Chicago, you’ll find everything from engine and transmission parts, to tires and brake components, to oil and lubricants. We can even help you enhance the sportiness of your Mercedes-AMG® with exclusive add-on parts, such as rear flics, side sill panels, and more. From bumper-to-bumper, each vehicle in the Mercedes-AMG® lineup delivers indomitable performance and handling, wrapped in a lustrous package. Designed to reflect the style and passion of the driver, the Mercedes-AMG® body and build is an ideal canvas for Chicago drivers who enjoy customizing their vehicles. Whether you’re interested in the C-Class, G-Class, S-Class, or another lineup, you’ll find a full range of Mercedes-AMG® accessories, including Multi- and twin-spoke light-alloy wheels, a front apron, sport stripes, a carbon rear spoiler lip, carbon fiber exterior mirrors, an indoor car cover, or wheel hub cover. The Mercedes-AMG® lineup’s cache of exclusive add-ons also extends to the interior, and includes performance seats, sleek trims (such as Matte Silver/Glass-Fiber and Carbon Fiber/Aluminum), a Bang & Olufsen® BeoSound™ system, and much more. 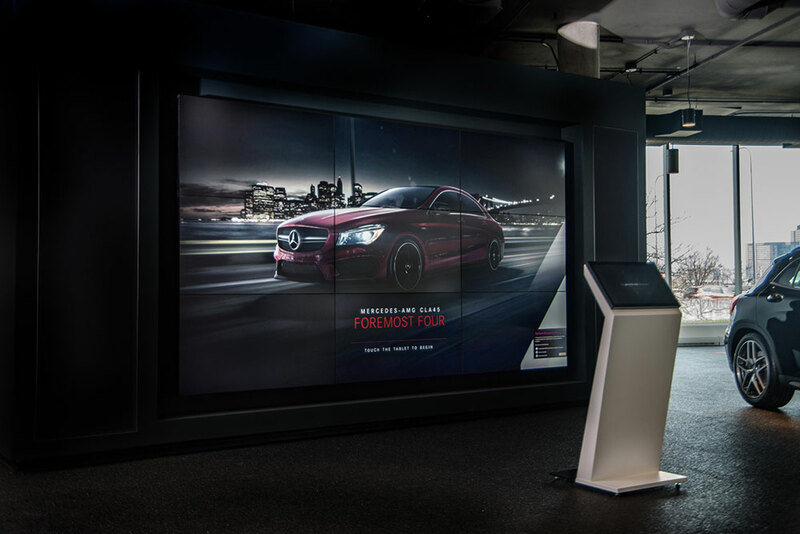 Whatever the vision you have for your Mercedes-AMG® vehicle’s body and cabin, the knowledgeable team at our Mercedes-AMG® Center can help you bring it to life! Schedule an appointment and we’ll have your vehicle upgraded in no time. Should me mmmþ first Benz, now im Mercedes for life. I always wondered why people with a Benz always have a clean car... Buyers get free car washes for life. Another perk of owning a Benz is being able to ditch that 3 month oil change required by American car manufacturers. The transaction was handled easily and professionally with no adverse surprises.